A pair of navy Bermuda shorts for boys, with a fun woven boat design, by Mayoral. They are made in lightweight, stretchy cotton twill and have four pockets, the two on the back have button fastenings. With an adjustable waist for a comfortable fit, and belt loops. 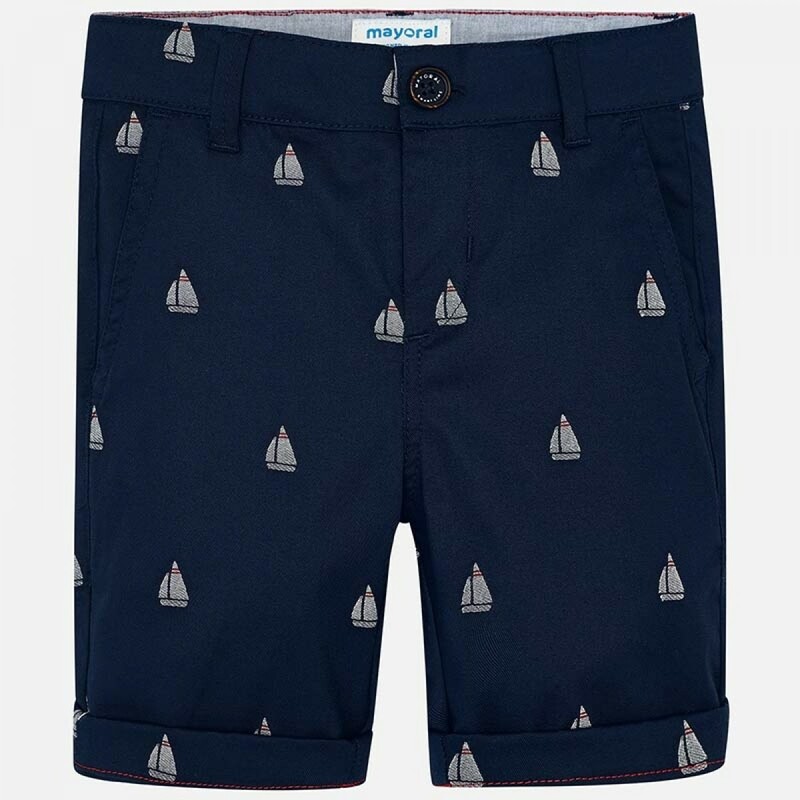 Navy blue Bermuda shorts for boys by Mayoral, patterned with little grey sailboats. Perfect to smarten up any outfit.